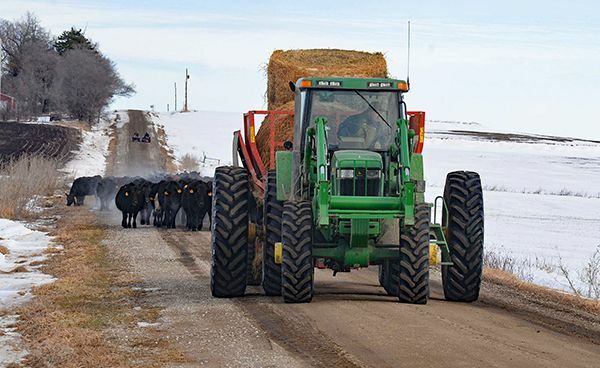 The tradition of families working together is a vital part of Nebraska’s farm and ranch history. The Johnson men, (from left) Danny, Roger, and Joey, of Craig, Neb., have been farming together for decades, and they’re just one of many who continue to find strength in combining family and business. As with all other jobs, harvest on the Johnson farm is a team effort. The regulars gather for a mug and some shop talk at Roger’s coffeehouse in Craig. Home and farm are one and the same for most farm families. 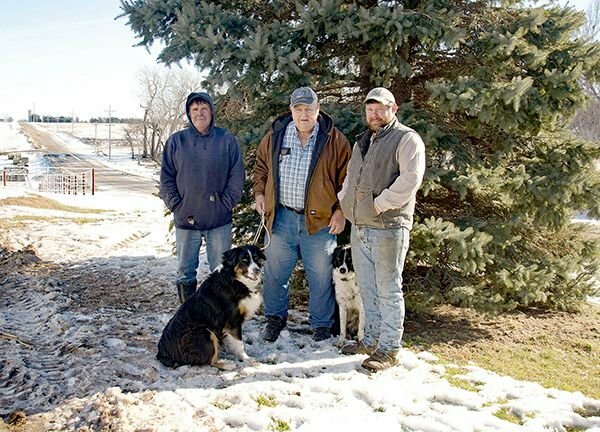 For Nebraska multi-generational farmers Joey Johnson, 31 years old, his father Danny Johnson, 58, and Joey’s grandpa Roger Johnson, 81, they consider each day working together at the family farm in Craig, Neb., a blessing. “All of us working together has its struggles, but the reward is greater than any struggle,” Joey said. “I’m extremely lucky to work so closely with my dad and grandpa, and to have this bond with them. On their farm northwest of Omaha, the Johnsons grow corn, soybeans and some alfalfa. They also have an Angus cow-calf herd. Technology has caused a pivotal evolution to their operation since Grandpa Roger’s early farming days. Joey noted his own generation is very tech-savvy. “Joey’s into that technology stuff. The younger ones can adjust to it, they’re natural with that stuff. It’s beyond me now, I’m the gopher,” chuckled Roger Johnson. “I’ve seen all of these changes in my life, with the modern equipment. If it weren’t for Joey, we wouldn’t be able to do what we’re doing today. Reminiscing about decades gone by, Roger said that at an early age, Danny and Joey were each excited about digging into the family farm business. Danny said he’s experienced the ups and downs of farming while working on a multi-generational farm. Though the family matriarch — Roger’s wife Shirley — passed away in February 1994, the other Johnson women are very supportive of the family business, albeit sometimes behind the scenes. Danny’s wife Misti helped with an early hog finishing business, doing most of the processing until 1999. She now works off the farm. Joey’s wife Ashlyn is a cosmetologist and hairdresser, and enjoys helping at the farm. The Johnsons have many memorable stories, and proud moments. These days, Roger, now semi-retired, helps on the farm, but also runs his own “farmer coffee shop” in Craig, out of a metal building he’s owned for years. His dog Skeeter hangs out with the guys while they visit. Roger is quick to point out, that farmers of all ages, and others come into his coffee shop. Reminiscing about farming with his son and grandson, Roger acknowledges, “Every day ain’t a smooth day. We’ve had our ups and downs. Generally, I win,” he chuckled. With another new grandbaby of his own due to arrive this spring, Danny reflected on both the past and future of the Johnson family farm in Nebraska, and what they have accomplished working side-by-side for so many years.